I feel like I have known him my whole life. The voice, the smile, the mannerisms of Matt Cutts come across so well over video that it’s hard to believe I have never seen him speak in person. I guess that is the power of video in a nutshell: when done right you feel like you know the person in the video without ever having met them. 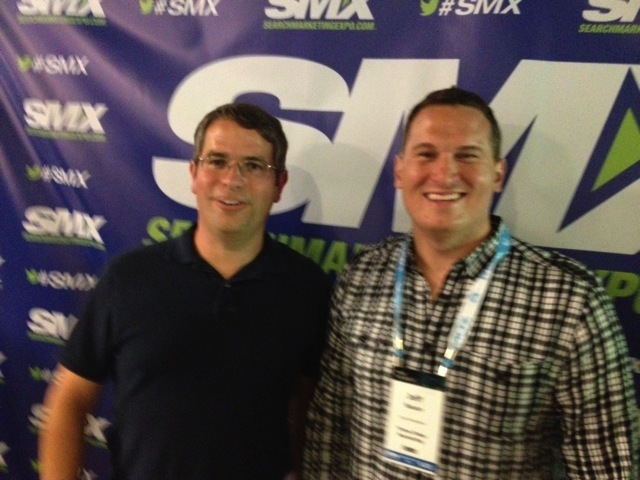 This was my first time seeing Matt Cutts in person and therefore my first time hearing him speak was also at the 2013 edition of SMX Advanced in Seattle. While his keynote was not a traditional single-speaker delivery in front of an audience, his Q&A session with legendary SEO thought leader Danny Sullivan was very revealing and featured all kinds of excellent tidbits of information. I am excited to share that information with you throughout the rest of this post. First of all, I need to admit I arrived about 10 minutes late to the presentation, because I finished up my Day 1 Recap with only a few minutes to make it back to the conference. 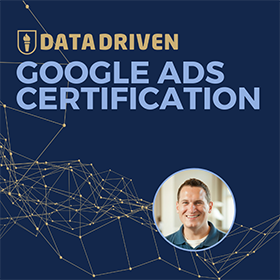 But I made up for lost time while tweeting up a storm about all of the impressive nuggets of information that Matt Cutts revealed to the audience – and even those that Danny coaxed Matt into revealing ;). Since the session was composed of questions and answers, I’ll provide the context of the question asked as well as how Matt answered below. If you follow the Google Webmaster Central blog, you’ll see that they made an excellent post about changes to the way that they are treating mobile-specific search results. They are focused on user experience for mobile and will soon start to devalue websites that provide a poor mobile experience. For example, those pages that redirect all mobile users to the homepage of a website as opposed to the page they wanted to view. I am very grateful for this quote and the stance that Google is taking on poor mobile websites. I think that most mobile-only websites miss the mark for their users and provide a terrible user experience for people on smart phones. My phone can view a full website and I can zoom in as needed. I don’t need the website to make decisions for me! Another thing Matt took a stand against were websites that had infinite mobile redirect loops between the full HTML page and the mobile site. Make sure you aren’t creating an infinite loop of misery to users. Mobile website speed will become a ranking detractor soon. That doesn’t mean a fast site will make you rank better, but a slow site will lose rankings or be de-indexed altogether. Pretty simple, really. Make your mobile site load as fast as possible. 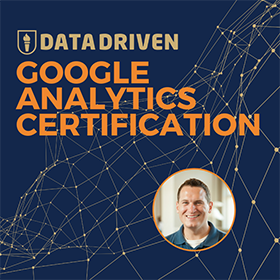 Danny Sullivan turned the screws to Matt when it comes to (not provided) keywords in Google Analytics. 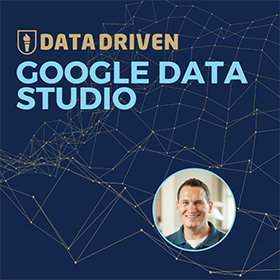 Matt had originally gone on the record and said that (not provided) only affected less than 10% of visits to websites. That is simply not true anymore for most websites, where many of them are seeing (not provided) at 50-80% of search queries. Jeffalytics is in the 80%+ range currently. Matt said that things have changed and that the 10% rule is no longer valid now that secure search is the default across many devices and browsers. He also cited privacy as a reason for (not provided) and I’m pretty sure he compared it to the recent NSA scandal. Not sure how they are correlated, but (not provided) is not going away it seems. Boo! Matt says that the most overrated thing he is seeing is the impact of social media on short term search results. I believe that what he meant by this comment is that a +1 or a tweet or a Facebook like is not a direct ranking factor. But from a long term perspective, pages with a lot of social media activity may benefit from the exposure. This is dead-on with what Mark Traphagen said in his presentation earlier in the day. Since Matt’s job is to thwart web spam, he talked about how much SPAM they really see at Google. There is a vast diversity of spam and it all depends on the country. In some countries 12% of the pages Google crawls are SPAM. Overall, the number of documents is around 3.7% of documents indexed. (please note that I hastily wrote down this number, so I still need to check on the accuracy). Matt revealed that the Penguin 1.0 update only focused on home pages of a website. If a site was overly optimized, the homepage would potentially be penalized. This was news to me, since I thought it was all pages. Matt said that the Penguin 2.0 update affects all pages on a site potentially. This means a site can be hit by Penguin 1.0 and Penguin 2.0 if they don’t clean up their act. I signed up because a few of the sites I manage have experienced a translation issue between our instructions and the way developers implemented them. Eric Enge had mentioned earlier in the day that his experimental site was indexed by Google with only promotion coming from Facebook. Matt suspects that there is a contamination in that experiment. Matt’s quote was that when it comes to Facebook affecting rankings, “correlation is not causation”. Matt also indicated that at Google “normally we don’t have access to Facebook data”. I was thinking of some conspiracy theories here. Does Google scrape Facebook like counts from the Facebook API? Do they pull in like counts from cached like buttons on a search result? There must be a way that they can get at Facebook data without actually being able to crawl pages within Facebook. I can’t wait to see the full results from Eric’s study. Late last night I got a response from Matt to my Tweet about the Facebook data above. It’s my first interaction with Matt and as far as I know it did not result in any of my sites getting banned from the index ;). At the end of the session, Matt made himself available for pictures along an SMX themed backdrop. I couldn’t help but have my picture taken with the legendary voice of Google to SEOs. 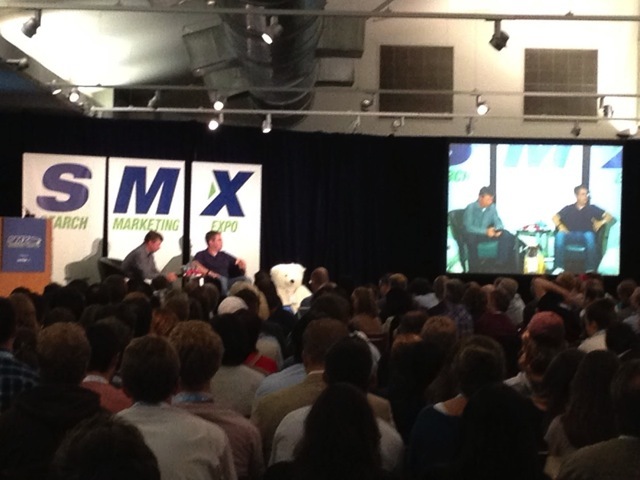 For my first SMX conference and first time meeting/seeing/hearing Matt Cutts in person I must say that it was worth the price of admission in itself. You simply can’t get this level of openness and transparency on a Google Webmaster Tools video. If you’re reading this, Matt – thanks for being so open with the group. I know that it’s not required to do that, so it means a lot that you are willing to be a good sport with all of us. What do you think about these notes from Matt’s keynote? Any revelations for you or was this all common knowledge?